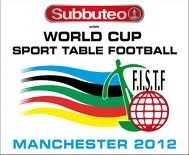 This Roll of Honour is especially dedicated to the special group of players who dare to dream the ‘Impossible Dream’ … and who are undaunted by the prospect of playing against far more superior opponents; and who dare push themselves to their limits to play at the highest level of competitive International Sports Table Football. TFAS salutes these special group of players who represented our country Singapore in the FISTF Subbuteo World Cup; and proudly carried our Singapore flag high to put Team Singapore on the world map of International Sports Table Football !! !